Acupuncture is the insertion of fine, filaform needles into the body at specific points in order to balance the bodies various systems and bring them back into homeostasis. 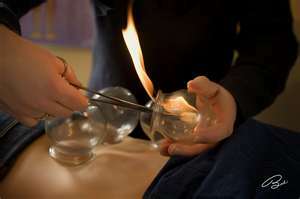 Moxibustion is the introduction of heat into the body at these points to warm the body and to help reestablish balance. The Initial Consultation and Treatment is a two hour appointment. It includes a thorough history and examination, treatment, and treatment planning. Call 303-330-1023 to schedule this appointment. Follow-up Appointments last about an hour and include a follow-up consultation and treatment. Treatments may include any of the following modalities. Out Calls are also available on a case by case basis. Cupping is like a reverse massage; instead of pushing, we are pulling. Heat creates a vacuum in the cup which is then used to warm and activate the flow of Qi (vital energy) and blood in the body. ​ Transparent glass cups are used to ensure propper suction to ensure optimal comfort. Cupping is extremely useful for musculoskelatal pain, colds, and flus among other ailments. 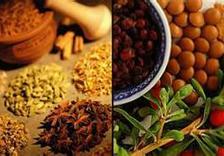 As acupuncture works from the outside in, Chinese herbal medicine and diet modifications work from the inside out. Some clients require herbal formulas to supplement the acupuncture treatments in order to affect a greater amount of healing in a shorter amount of time. Diet modification can help to ensure ongoing health and wellbeing. Tuina is Chinese medical massage where the practioner manually affects the body to relieve tension and congestion. Manual Manipluation includes Reflex Balance Therapy developed by Dr. Seong-yeol Kim, PhD, of Korea and is used to release the muscles and joints of the cervical and lumbar regions. Both therapies work to restore balance, increase flexibility and mobility, and maintain harmony in the systems.